MISSISSAUGA, ON, Sept. 26, 2013 /CNW/ – On Saturday September 28, 2013, FILA will be formally introduced to the “Out of the Box: The Rise of the Sneaker Culture” exhibit at the Bata Shoe Museum in Toronto, Ontario. This exhibit, which was launched in April 2013, was the first North American exhibition to show the history of the sneaker culture. The FILA shoe, which will be physically in the exhibit late October, was originally known as the Grant Hill II, and was worn by Grant Hill during the 1996 Olympics when the USA basketball team brought home the Gold medal. In 2012, FILA established a museum in the town of its origin, Biella, Italy. This shoe, along with many of the other items that play a part of FILA’s century old heritage, has been on display at the FILA Museum in Italy. With an exhibit dedicated to sneaker culture, FILA has loaned the shoe to the Bata Shoe Museum for the duration of the exhibition, which is planned to make its way to the United States next year. “FILA played such an important role in the development of sneaker culture. We are so thrilled that with this loan the final piece of the puzzle is now in place, completing the story for our exhibition Out of the Box: The Rise of Sneaker Culture,” says Elizabeth Semmelhack, Senior Curator, Bata Shoe Museum. In addition to the Grant Hill II, FILA has also provided several other iconic styles from their 1990’s basketball archive for the museum’s event this Saturday evening. Hill’s 1996 Olympic sneakers will be joined by the Grant Hill 1 and GH III, the Jerry Stackhouse II, and one of the first sneakers ever created for outdoor basketball, the M-Squad. These legendary models were instrumental in solidifying FILA’s place in basketball and are still highly sought-after by sneaker collectors around the world. 2013 has been an exciting year so far for FILA as they have been paying homage to their roots in the sneaker culture with their Heritage Collection which is the re-introduction of footwear styles that were among the most popular in the ’90’s. Styles among the nostalgic re-releases this year have been the 95 (originally known as the Grant Hill I), the Spaghetti and the Stack1. The Heritage Collection will be formally launched in Canada for Spring 2014. 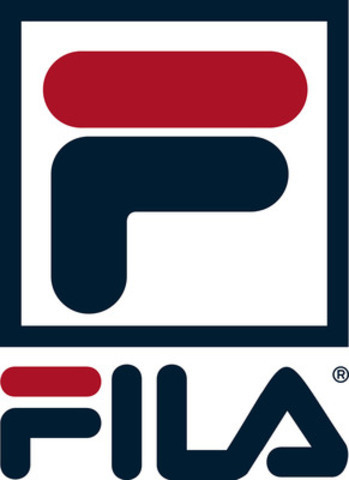 Established in 1911 in the town of Biella, Italy, FILA began as a premium manufacturer of ski apparel. In 1973, the brand launched its global sportswear line and produced the first seamless polo shirt—an innovation that earned FILA its reputation as the quality-driven lifestyle and sportswear brand that consumers know and love today. FILA is distributed in Canada by Core Sports Inc., a division of R.M.P. Athletic Locker Ltd.
About R.M.P. Athletic Locker Ltd. Established in 1977, in Mississuaga, Ontario, R.M.P. Athletic Locker is one of Canada’s leading sports apparel and footwear companies. The company designs, manufactures, and distributes technical and lifestyle products under a range of brand names including FILA, Ripzone, Powder Room, Teva, Umbro, and Sportcraft. For every shoe there is a story. With an International collection of over 13,000 shoes and related artefacts, the Bata Shoe Museum celebrates 4,500 years of footwear history in four distinctive rotating galleries. In addition to the popular semi-permanent exhibition, ‘All About Shoes’, the Museum has three galleries for changing exhibitions, ensuring that each visit to the museum offers a new experience. Through the creation of its innovative exhibitions, the Museum strives to enlighten and entertain visitors of all ages. Exciting adult and children’s programming activities and a unique gift shop complete the experience. A cultural gem in the heart of the city, the Bata Shoe Museum is definitely for the curious! Further information is available at www.batashoemuseum.ca. SOURCE RMP Athletic Locker Ltd.